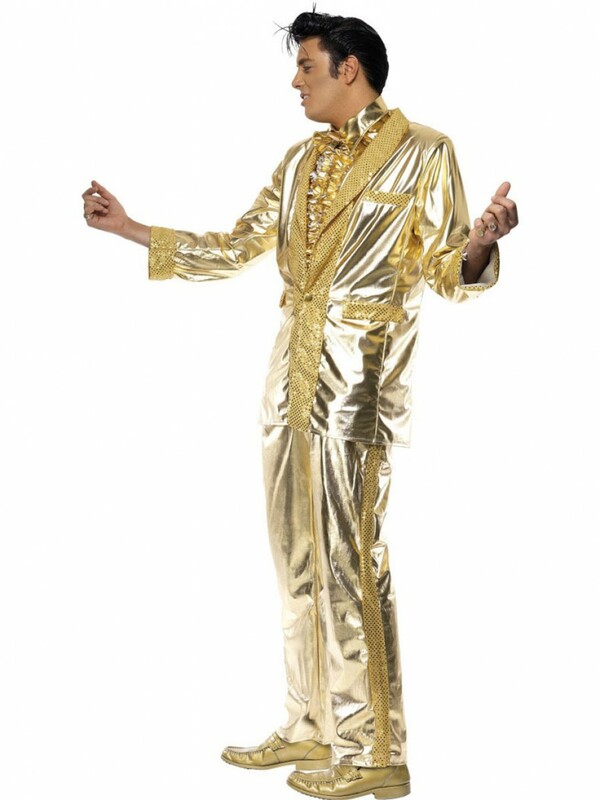 A fun Gold Elvis Costume with Jacket, Trousers and Shirt Front - a dramatic look which is sure to make you stand out from the crowd. 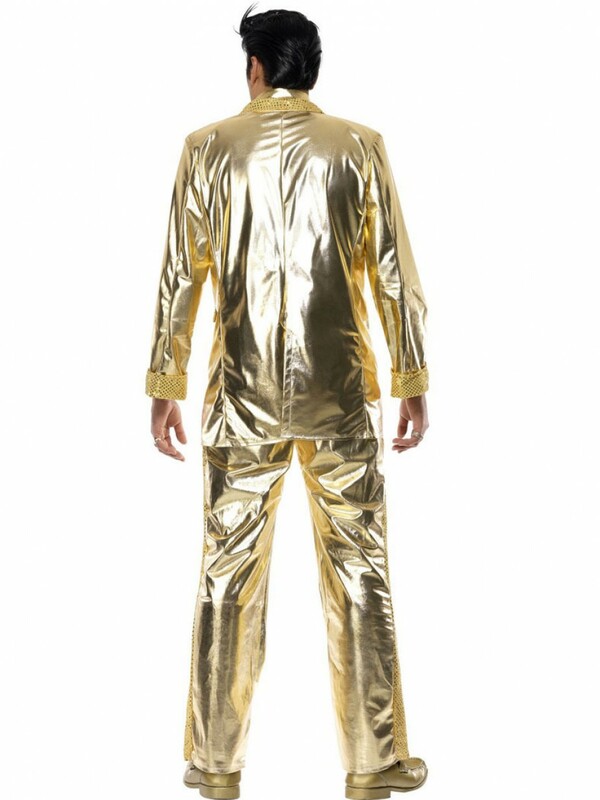 This Rockin’ Gold Elvis Costume truly creates a stand out look with its shiny gold design - sure to make you stand out from the crowd. The costume is part of the Licenced Elvis Costume collection for an official King of the 50s design! The shiny gold jacket and trousers create the appearance of a striking suit - based on the Elvis outfit on the cover of his ’50,000,000 Elvis Fans Can’t Be Wrong’ album which was released in 1959. The sparkling sequin and shining gold design creates a really dramatic look. The Gold Elvis Costume is completed with a ruffled shirt front. A really fun look for a 50s theme or any party occasion. 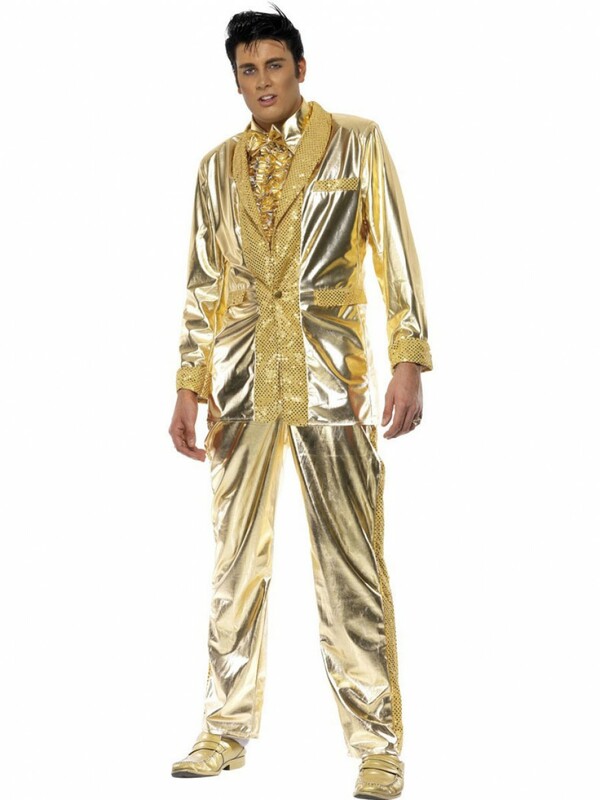 Gold Elvis Costume with Jacket, Shirt Front and Trousers.